My IDE of choice these days is IntelliJ. Fortunately for me the Play tool can quickly add the files to a Web App to make it an IntelliJ project. This article assumes you have already created a Web App using the Play command line tool. 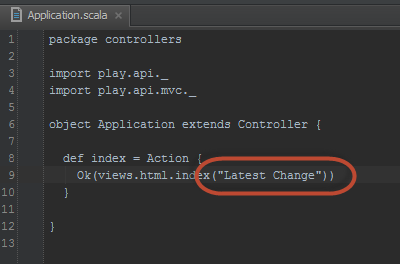 Application.scala in the app -- > Controllers folder for editing. 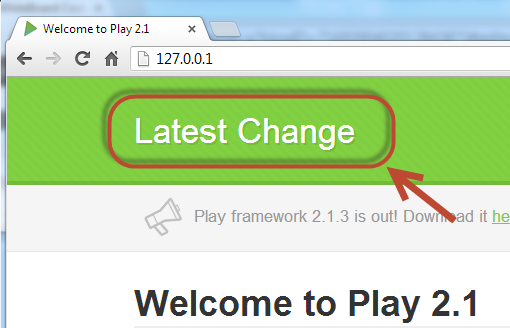 And changed the text output to "Latest Change" and saved it. The Web App will recompile automatically. Refresh the Web App and you should see the Text Change. I won't go into great detail here but you can alternatively create an eclipse project. 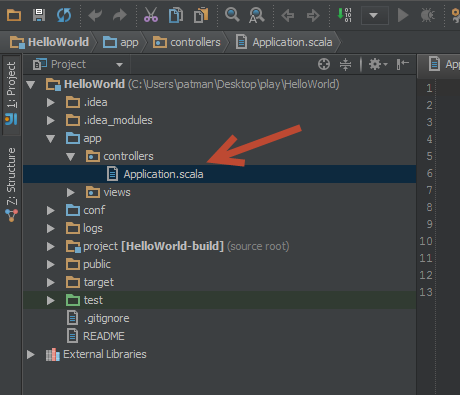 The Play command tool can create IntelliJ projects or Eclipse.